It's not just a song by Bob Marley! 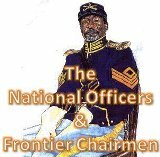 The history of the National Association of Buffalo Soldiers & Troopers Motorcycle Clubs (NABSTMC) began with a dream; in this case, the dream of Ken 'Dream Maker' Thomas. 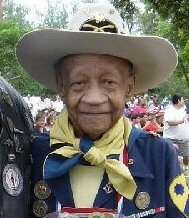 Believing that it was time to establish a modern progressive motorcycle club whose focus was to promote a positive image among Blacks that would be respected in the community and throughout the country, Thomas founded the Buffalo Soldiers Motorcycle Club of Chicago in October 1993. 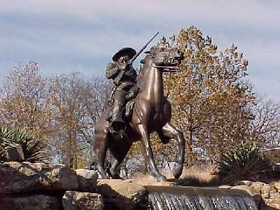 The name Buffalo Soldiers was initially selected to pay homage to and ensure the legacy of African American military contributions in the post Civil War era. Under the leadership of Ken Thomas, the new club was chartered as the Buffalo Troopers Motorcycle Club of Chicago. Membership in the club grew to a total of ninety-two (92) during that first year, making it the largest Black motorcycle club in Chicago, IL. The clubhouse was located at 8510 South Ashland Avenue. The clubhouse displayed many items dedicated to the history and memory of the Buffalo Soldiers such as pictures, books, statues, and an authentic buffalo head donated by member Ernie Daurham. In 1996, the club moved from this location to its current location at 13836 South Indiana Avenue, in Riverdale, Illinois. The club's popularity grew as members attended the national roundups and rallies held in various cities in the country. This popularity transformed into interest of other clubs in affiliation with the Buffalo Troopers M/C of Chicago, Illinois. Then, Brian Bulow, a former President of the Maryland Chapter, and now a former Vice President of the NABSTMC saw the Chicago Buffalo Troopers at the Atlanta Roundup and displayed an interest in starting a chapter. That interest resulted in the first chapter to wear the "patch" outside of Chicago, Illinois. Soon afterwards, others showed an interest and started chapters, the next four being Florida, Delaware, Virginia and New Jersey. In 1999, the clubs collectively formed the NABSTMC which currently consists of seventy-nine member chapters throughout the United States and internationally with additional clubs petitioning for membership. 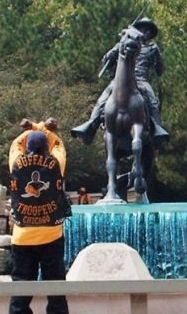 All the chapters of the association determine whether they want to be recognized as "Buffalo Soldiers or Troopers". However, all the member clubs wear the patch designed by the Chicago, Illinois chapter and subscribe to the NABSTMC rules, regulations, and by-laws. The NABSTMC is now an active participant in numerous charitable functions including supporting senior citizen homes, student scholarships and food and fund drives for charitable organizations, i.e. The March of Dimes and Toys for Tots. The NABSTMC has also taken the responsibility of mentors to area youth and educational programs, which share enlightenment of the heritage that African-Americans have played in the United States. We are also actively involved in recognizing the accomplishments and sacrifices of the Tuskegee Airmen. NABSTMC encourage a positive image and behavior of our members and affiliates. We believe that we are role models and share a responsibility and a positive value system to our respective communities. The member chapters do not discriminate against race, religion, gender or ethnic origin. We are an organization majority comprised of minority members and accept those who share our values and support our cause. 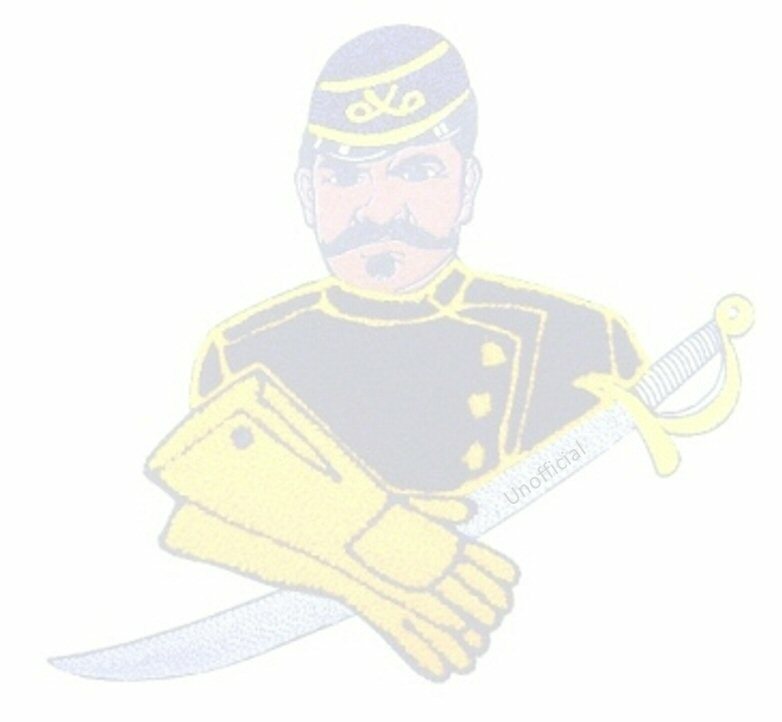 The Buffalo Soldiers logo and scoley is the registered trademark� of the NABSTMC. Permission to use this image must be granted by Ken Thomas.